Buy now and get started with your design. Our licenses are permanent (not rental) because we believe you should own what you purchase! Are you outside the UK? Pay in EUR here. 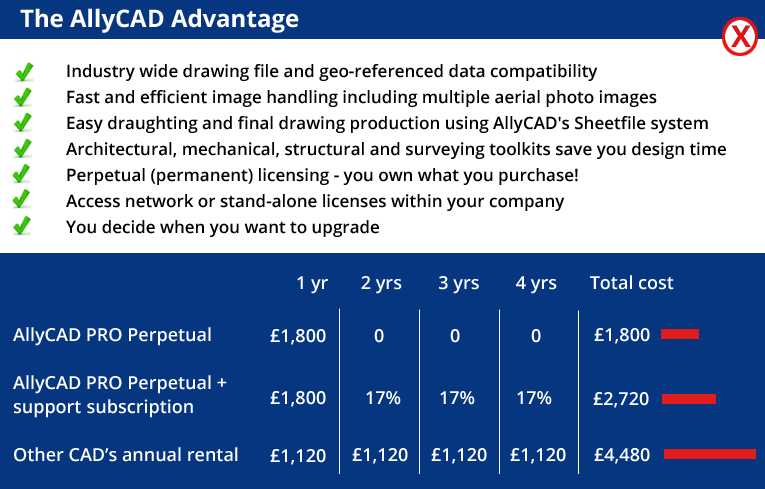 If you are an existing client and you need to update to the latest version of AllyCAD on your current license you can download the latest version here. Note: The above prices are excluding VAT. VAT is required if you are in the UK. In this case PayPal will automtically add VAT to your total for you to confirm before you checkout.